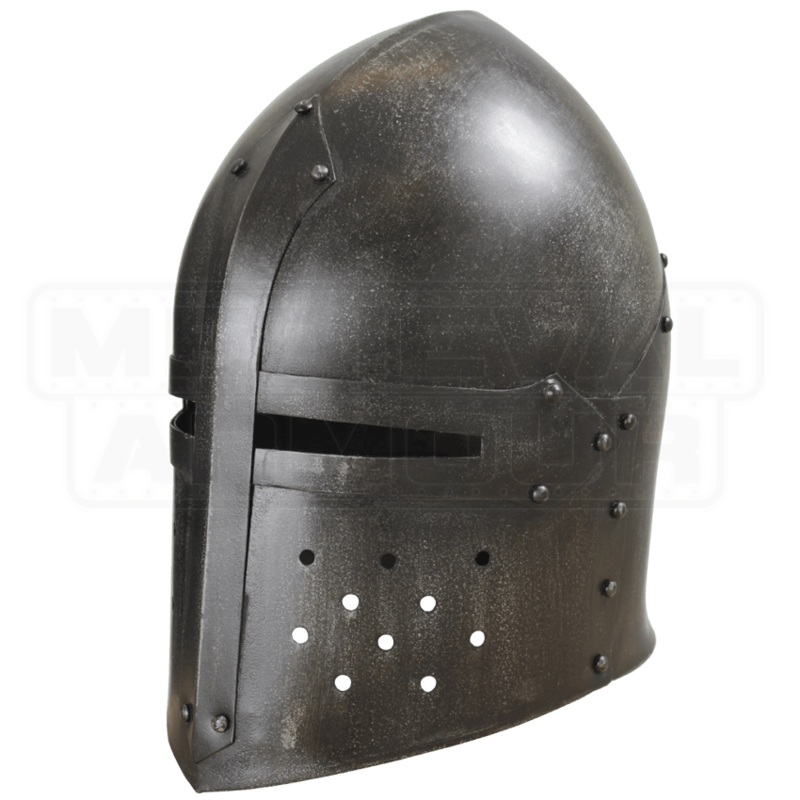 Battle for the sake of a High Middle Ages kingdom the next time you LARP by donning the Epic Dark Sugar Loaf Helmet. A descendent of the great helm, this enclosed helmet possesses a crown that is more conical than its predecessor. Like the traditional bucket helm, the sugarloaf protects the entire head. Wide slits serve as its eye openings. Ventilation holes cover its mouth, increasing the airflow. A projection bar provides extra protection to the center of the face. Rolled edges and rivets aid in the deflection of blows. The helmet features a dark metal finish that is resistant to rust and scratches. An inner foam lining creates a more comfortable fit, while a chin strap keeps the helmet in place.